Hello everyone! 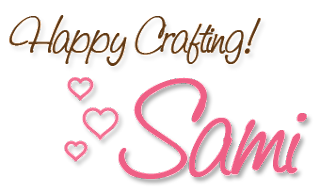 Samantha here with a simple project and a video tutorial for you. Today, I want to talk to you about blending with some of the most difficult Copic color families: The RV's and the R's. We have talked about blending tips with the R's in the past, and the same principles hold true for RV's or any Copic colors you are wanting to blend. Patience is key when blending with difficult colors. Take your time, blend a little, let the paper dry and blend some more. If you try to blend too much all at once, you may over saturate your paper and your colors will bleed outside of your lines. The great thing about Copics, which are Alcohol based markers, is that you can always go back and add to your coloring well after the ink has dried. The alcohol will always blend! 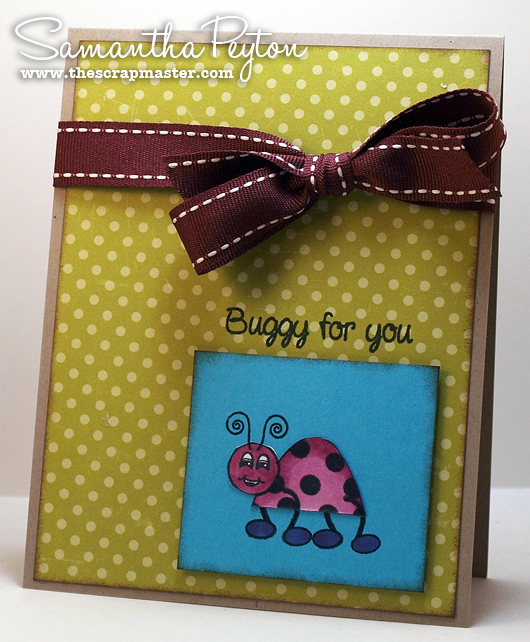 And here is my finished card using that little cutie. The stamps used are from the SP and Company Hug a Bug stamp set. Hope you enjoyed this quick project and Dana will be here tomorrow to show you another of her wonderful projects! Such a cute little buggie!